The Mapela Traditional Community (Mapela) is a rural, low-income, mostly unemployed customary law community made up of 42 villages near to Mokopane in the Limpopo Province in South Africa. This series (videos, full case study and summary) portrays how the Mapela people have become increasingly vulnerable and insecure as a result of Anglo American Platinum increasing its mining operations at the Mogalakwena Platinum Mine. a general disruption of the social fabric . The Mapela villages that are most affected by the mining are Ga-Molekana, Ga-Puka, Ga-Sekhaolelo, Ga-Pila, Ga-Tshaba, Skimming and Sekuruwe. 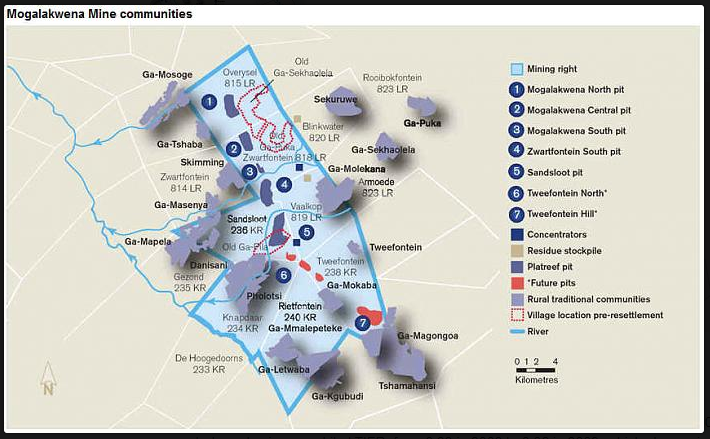 Figure 1: Areas over which PPL has a legal right to mine and Mapela villages affected by mining. The negative effects of mining experienced by Mapela are enabled by a legal system which favours mining interests over community interests. This raises an important question: what changes will safeguard existing land rights of rural black people in the face of pressure from powerful mining companies and a captured state? There is a long history of dispossession of the Mapela people. Before South Africa became a Union, the boer Zuid Afrikaanse Republiek established military and legal control over Mapela and the surrounding area and demarcated areas where black people could reside. Black people living outside of these areas were displaced and forced into smaller areas. After South Africa became a union, this situation was reinforced by the 1913 Natives Land Act, which prohibited black people from purchasing/hiring land in areas outside demarcated reserves. The reserves constituted a mere 7% of the country. This was later increased to 13,5% by the Native and Land Trust Act 18 of 1936. After 1951, a series of Acts were passed which created the Bantustan system, which furthered the reserve system. Bantustans were areas where the apartheid government tried to move all of South Africa’s black population, according to ‘tribe’, in order to complete the apartheid goal of complete segregation and disenfranchisement of the black population. The MTC, a historically Ndebele-dominated population, was placed under the administration and control of the Lebowa Bantustan, which was Pedi-dominated. In 1994, the assets and liabilities of the Lebowa Government (including the MTC’s land) were transferred to the South African Government. However, in light of their customary law, the Mapela community have the right to use the land and to benefits accruing from the land. These rights are also protected by the Constitution and the Interim Protection of Informal Land Rights Act 31 of 1996 (IPILRA): they have the right not to have their informal land rights deprived without their consent. For more information on the law in this regard, click here. However, the Mapela people’s land, livelihoods and security of tenure are under threat again from the encroachment of mining. Platinum mining in Mapela started intensively around 1990. In 1993, prior to the democratic transition Anglo secured a lease from the Chieftainness at the time, Kgoshigadi Athalia Langa, and a mineral right from the government, both of which were required for it to mine in Mapela. In the new constitutional order, the land under the former Lebowa bantustan was transferred in trust to the Department of Land Affairs. Subsequent legislation prevented traditional leaders from negotiating or transacting on behalf of their communities without first obtaining majority consent. Since 2001, three villages have been relocated in Mapela to make way for the Mogalakwena mine. These relocations predominantly took place via a contested system of consultation. Anglo facilitated the establishment of a non-profit company (called a ‘section 21 company’) in each village to be relocated, which it then treated as the representative body of that village for the purposes of negotiations and consultations. An undemocratic process of nominations was used to select directors of the Section 21 companies. The companies were structured so that their only members were the directors with the result that the companies were unaccountable to the residents they purported to represent. For a period Anglo paid monthly stipends to the members of the section 21 companies. These companies quickly lost all legitimacy in the community and even Anglo has subsequently admitted that it was mistaken in using the companies for consultation. Anglo states that the household relocation agreements reached with section 21 companies were endorsed by individual community members however it is unclear how many residents understood that they had a choice to reject the offer presented by Anglo. Individual consultations occurred with heads of households – the majority of whom are men. Heads of households also received compensation payments. Thus, women and youth were excluded from consultations and compensation. While it seems that nobody has been forcibly evicted from land with established homesteads, residents report that aggressive means of effecting relocation were undertaken by Anglo, to coerce unwilling residents to move. This included fencing off of ploughing and grazing fields, restricting access to roads and throughways and conducting intrusive blasting operations. There are also allegations that water services were cut off for those households who refused to move. In total, around 1700 households have been relocated. This does not include residents that have been evicted when trying to establish new homesteads on historically Mapela land earmarked for mining development. ​​Figure 2: The percentage changes in access to ploughing fields in Mapela before and after mining. ​Grave relocations have also caused strife in the community. Between 2000 and 2012, Anglo relocated more than 2200 graves in Mapela. There are many grievances regarding the compensation awarded and the siting of the relocated graves. First, Anglo’s award of R1500 per grave, was considered too little to adequately compensate for the strife that the grave relocations has caused families. This is in light of the strong cultural rituals and religious beliefs regarding the deceased in the Mapela community. Ancestors are revered and are consulted for guidance and favour, through prayer and ceremony. The failure to lay the dead to rest appropriately is a potent marker of disrespect which brings misfortune to the living. ​Some graves remain in Mohlotlo and others have been lost beneath mine dumps because the company hired to manage the exhumations failed to move the remains of some community members’ ancestors. Many of the exhumations were undertaken in an illegal manner which resulted in the mixing of the bones of the deceased. Despite a rectification process being implemented, many of the problems could not be fixed. Mining activities cause severe environmental damage and create environmental hazards for surrounding communities. In Mapela, blasting has greatly affected the wellbeing of the community by disrupting school days and residents are often unable to sleep. It has also caused cracking of houses. Indeed, blasting was so bad in Ga-Puka that Anglo felt the need to pay residents of Ga-Puka village R300 to vacate their houses each time that blasting occurred, to avoid possible injury. The dust caused by the mine has also severely affected surrounding villages. The mine has also been blamed for water contamination and water shortages in the area. In 2007, a water expert found that water sampled from five points in the community was not safe to drink. However, Anglo denied that the contamination could be attributed to its mining operations citing poorly positioned pit latrines for the decline in water quality. Anglo does not regularly sample the water in the surrounding area as it believes that water testing and securing water quality is the sole responsibility of the Department of Water Affairs. Residents from Ga-Tshaba and Ga-Molekana – the villages that are currently closest to mining operations – also report that natural springs have dried up since mining operations began. In 2010, the Sekuruwe village started legal action against Anglo to stop the company from building a tailings (mining waste deposit) dam on land adjacent to a wetland that feeds the water storage dam of the Sekuruwe village. By the time that Anglo’s answering affidavit was filed, Anglo had pumped 1.6 million tons of slime waste into the tailings dam without the requisite authorisation for it to do so. However, the matter was not heard or finalised in court but, rather, was settled by way of agreement between the parties. The negative effects of mining, and the flawed manner in which consultations have been carried out, have contributed to widespread anger that the Mapela community has not benefitted from mining. Villagers point to lack of local employment by Anglo and argue that traditional leaders have been corrupted and compromised by mining interests. This has been the trigger for widespread and frequent protests in the community from around 2007 onwards. Some protest actions have been extremely disruptive, bringing mining operations to a halt. Protest actions are increasingly associated with violence with villagers, mine security and the police accusing each other of actions which trigger violent responses. Protests have been organised by local groupings, such as the Mohlotlo Development Committee and the Mapela Executive Committee. These organisations have sprung up as alternatives to traditional and formal political representative bodies which are widely regarded as having failed to represent the interests of local communities. These local ad hoc committees have managed to secure the support of a number of outside organisations. ActionAid and the South African Human Rights Commission have both written extensive reports on the Mapela mining experience and the legal firm Richard Spoor Attorneys Inc. has provided legal assistance on a number of issues. The Land and Accountability Research Centre, ActionAid and Phuhlisani NPC have also been involved in providing on-the-ground assistance. The protests, associated media coverage and assistance from external organisations have enabled Mapela residents to reap some benefit from mining. They have been able to obtain compensation from Anglo in a number of ways: individual villages have been able to negotiate improved levels of compensation from Anglo for hardship caused. Anglo has also entered into a settlement agreement which commits it to invest R175 million in a local development trust. On a broader scale, Anglo launched ‘Project Alchemy’ in 2011, a R3.5 billion project across all of its platinum-producing mines for the purpose of improving sustainable development and “ensuring the upliftment of communities so they are not solely dependent on future mining.” It is reported that a second local trust established using project Alchemy funds will be funded with a minimum of R20 million each year. No tangible actions have been undertaken by the trust, as yet. In a number of instances, traditional leaders have been perceived to capture benefit or control over compensation funds for themselves. The payments regarding lease agreements approved by Kgoshigadi Athalia Langa remain unaccounted for by traditional leadership. The settlement agreement was set out in a trust deed in which the Kgoshi David Langa held de facto power and provided very few accountability measures. The Kgoshi also had extensive business with the mine which constituted a flagrant conflict of interest. Anglo is required by the Mineral and Petroleum Resources Development Act 28 of 2002 (MPRDA) to pay compensation to affected residents for damage caused by mining operations. Anglo has thus provided compensation regarding the mass residential, agricultural and grave relocations to individual households. However, the compensation has been unequal. For instance, Anglo paid each relocated household in Ga-Pila R5000 by the end of 2001 but paid each relocated household Ga-Puka and Ga-Sekhaolelo villages R20 000 by the end of 2014 for suffering caused by relocation. In general, compensation offered by Anglo has been seen as inadequate: it is once-off in nature and does not account for ongoing hardships resulting from relocation. 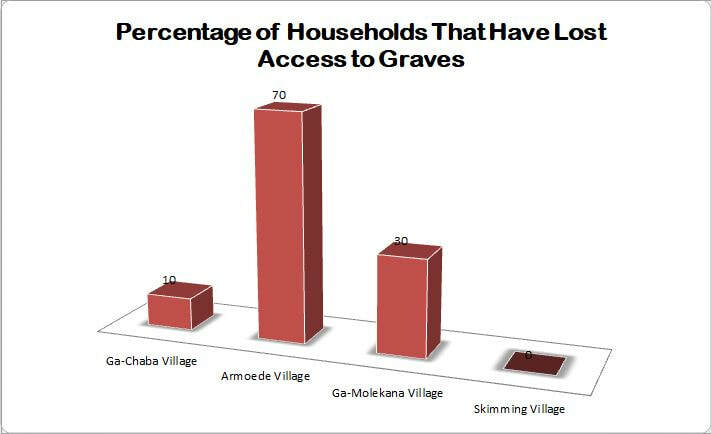 Much of the agricultural land provided as compensation is reported to be lower quality than that previously held by relocated residents, access to relocated graves is limited and some graves have not been able to be restored. The current policy of the Department of Mineral Resources (DMR) does not require that companies finalise compensation before starting their mining operations. With mining operations already in process, communities are forced to accept levels of compensation that they are unhappy with. Mining encroachments, such as blasting and fencing off of ploughing fields as outlined above, pressure communities to accept offers by mining companies without proper negotiations taking place. Communities are not negotiating on an equal footing with companies. For more information, click here. Their position is further weakened by the fact that, since the MPRDA has come into effect, it has been the status quo that mining communities’ consent has not been required before mining takes place on their land, which disregards customary law and IPILRA. IPILRA requires that a community’s consent must be obtained before their land rights are encroached upon, whereas the MPRDA does not community consent. At the time of writing, there is a case before the Pretoria High Court in which a prospective mining community from the Eastern Cape argues that IPILRA cannot be ignored and community consent is required before mining takes place. This has been opposed by the mining company involved and the DMR. The case will likely be appealed by whoever loses, and is likely to go all the way to the Constitutional Court, which will take a couple of years, at least. For a detailed explanation of these issues, click here. Until communities are able to stop mining from happening on their land without their consent, any negotiations undertaken by them will not be genuine or on equal footing. Anglo is also required by law to create a social and labour plan (SLP). A SLP is a document produced by a mining company that shows how it intends to invest in the local community development and labour in order to benefit the lives of people living close to the mine and workers working at the mine. However, there is no evidence of local consultation to identify priorities for the SLP and no consultation programme is mentioned in the plan. Anglo is not expressly required, in terms of the MPRDA or its regulations, to consult with the community on its SLP, although the DMR’s Revised Social and Labour Plan Guidelines of October 2010 mention that the mining company should consult with communities and relevant authorities to provide a plan for mine community economic development. However, the enforceability of this provision is questionable. The size of Mogalakwena, the size of the community, the involvement of outside orgs and the fact that Anglo cares about its public image are favourable factors which have enabled the Mapela community to be relatively successful in resisting the encroachment of mining on their lives. However, we must ask ourselves: how will other communities that do not have these strengths cope? Communities that are small, divided, obtain less assistance from outside organisations, get less media coverage and face a more destructive mining company may not be able to mount any form of resistance and derive any sort of benefit from mining. In order to defend the rights and livelihoods of rural people in South Africa, we need clear protections for existing rights-holders, which enable them to choose what happens on their land. In cases where mining is approved, local people must derive lasting benefit from the mineral resources on their land. ​It is clear that mining affected communities’ legal position needs to be strengthened. For detailed policy recommendations, follow this link to the full case study.